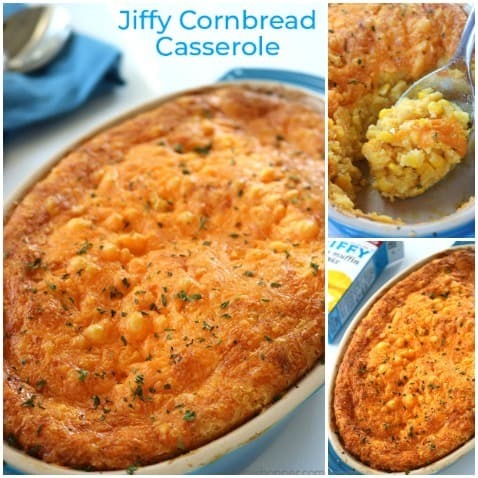 This Jiffy Cornbread Casserole is an easy side dish for your Thanksgiving or every day meals. 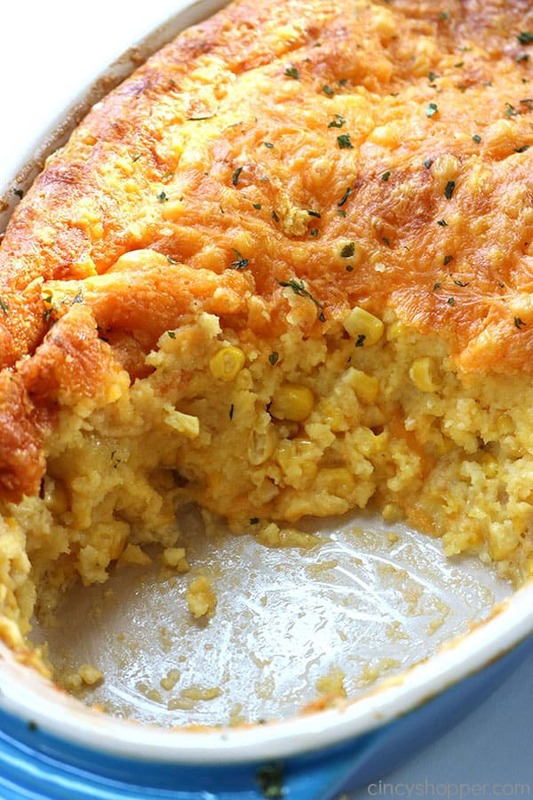 I like to describe it as a gooey cheese cornbread. I think some might call it cornbread pudding. 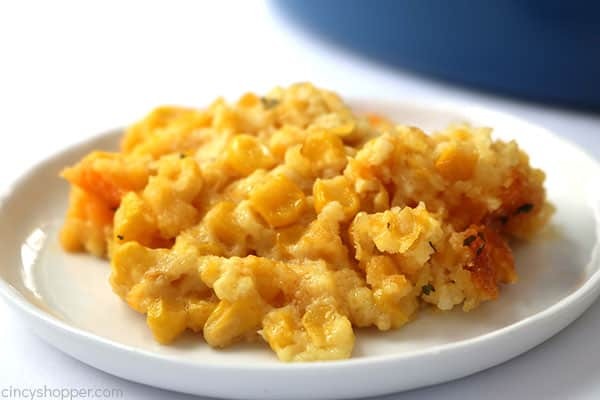 Whatever you call it, it is a perfect holiday side dish. The holidays are just around the corner. I have been excited to share some of my family holiday recipes with all of you here on my blog. Some of the dishes we make for Thanksgiving and Christmas stem from our childhood. Growing up, we always had Waldorf Salad and Sweet Potato Casserole along with Jiffy Cornbread Casserole. 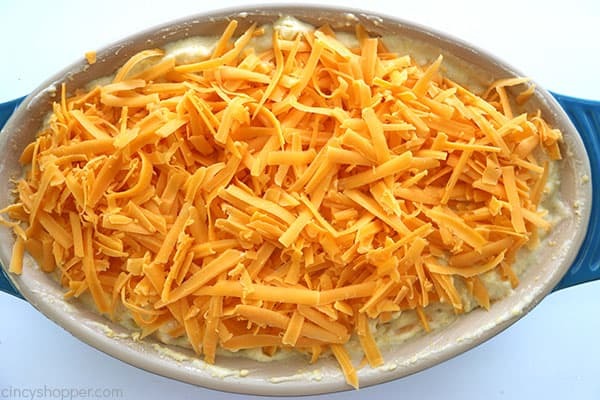 Over the years, I modified our casserole by adding cheese. 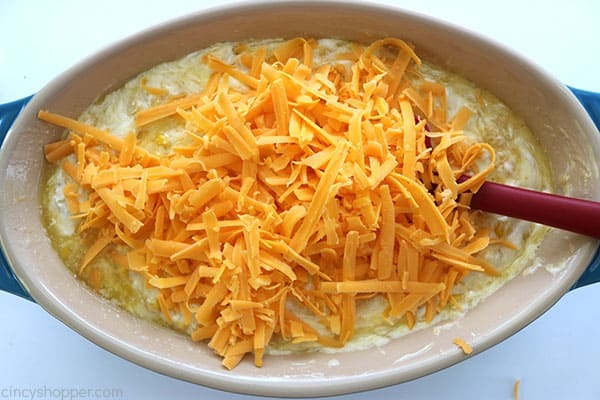 My kiddos love cheese and it actually makes this dish even better than the original. 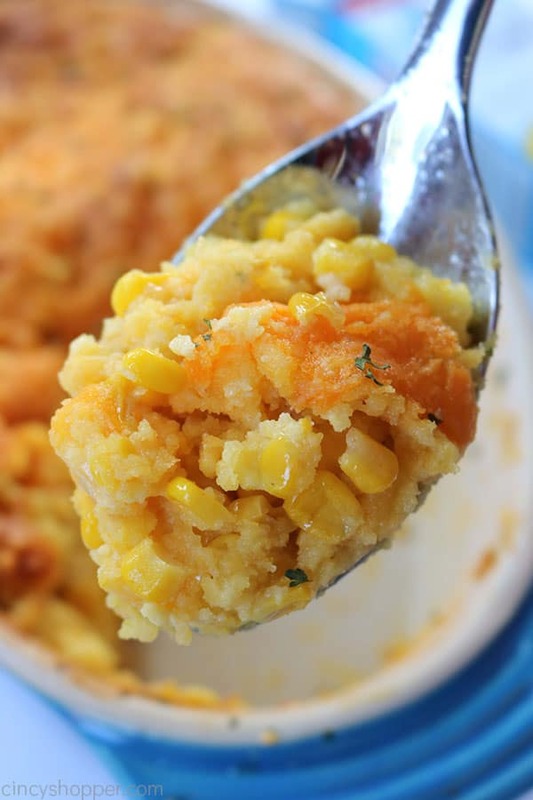 If you are a fan of cornbread and never made Jiffy Cornbread Casserole, you really need to give it a try. 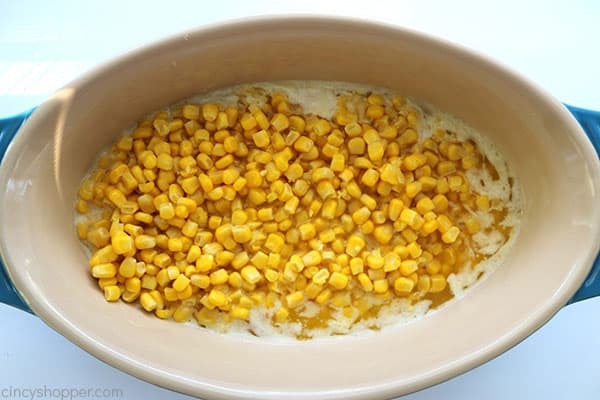 Not a fan of cornbread? Neither am I. It’s ok but nothing to go crazy about. I usually do not go out of my way to eat it. 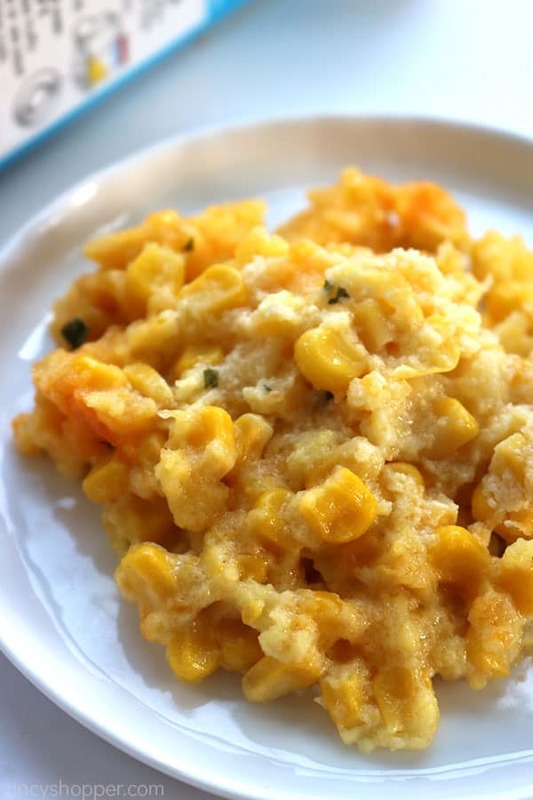 But… I will go out of my way to eat Jiffy Cornbread Casserole. It makes for a perfect holiday dish. 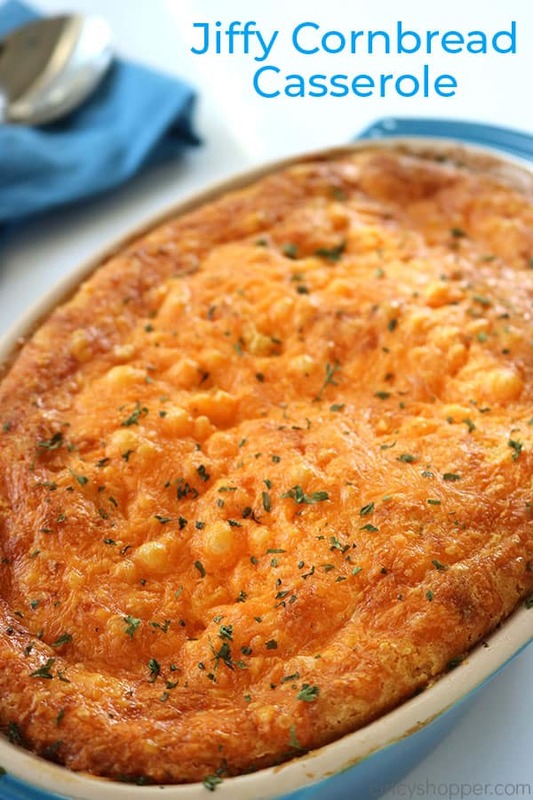 It’s one of those casseroles that I usually only make for the holidays. I still am not sure why. Maybe I need to make it more often. 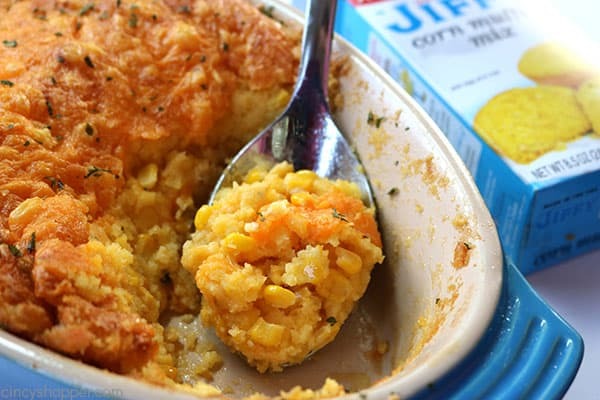 Jiffy Cornbread Casserole is so easy to make. You can make it with or without the cheese. This recipe is great for feeding a medium sized crowd. 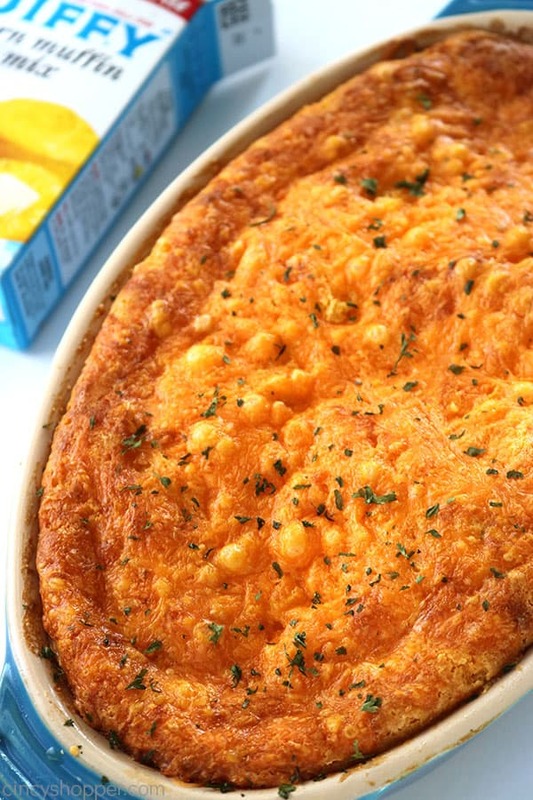 If you have really big eaters, you may want to make a second casserole. It may disappear quite quickly because it is oh so good. 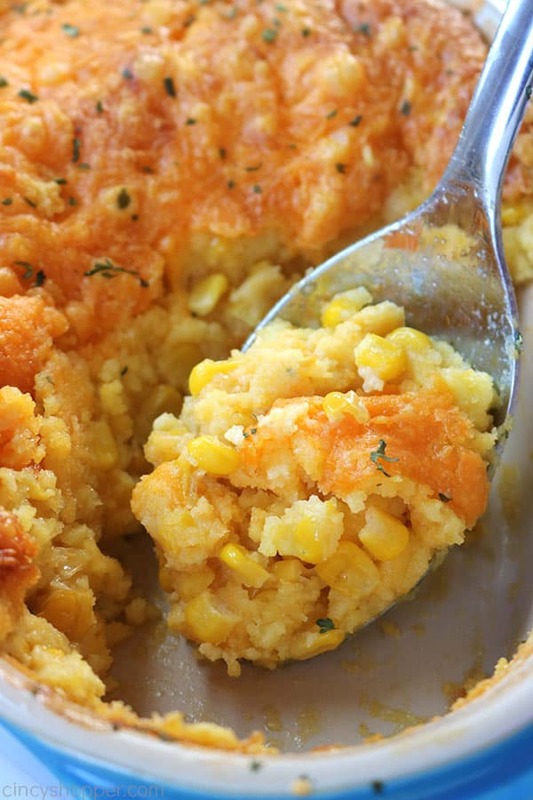 Cornbread is traditionally a southern food but this dish is so comforting. I live in the north and I LOVE it. My entire family loves it. I find it to be such a simple casserole that is always a hit. Please note, I did only include 1 egg in my ingredient picture. I actually used 2 eggs. I have cheese in my casserole because it makes it extra good if you ask me. I shred my own cheese. 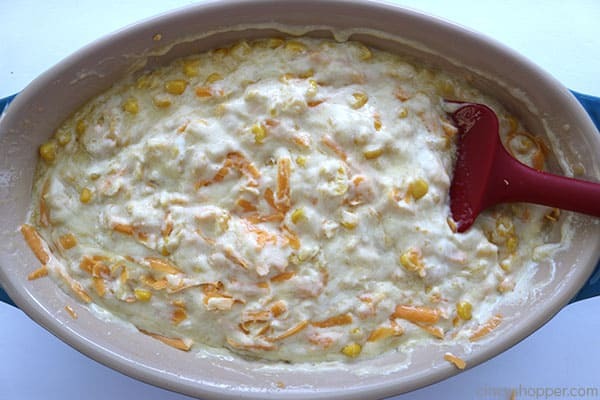 If you use store bought pre-shredded, be prepared for your casserole to be greasy. Skip the bag stuff and shred fresh cheese. It makes most dishes that are cooked or baked so much better. 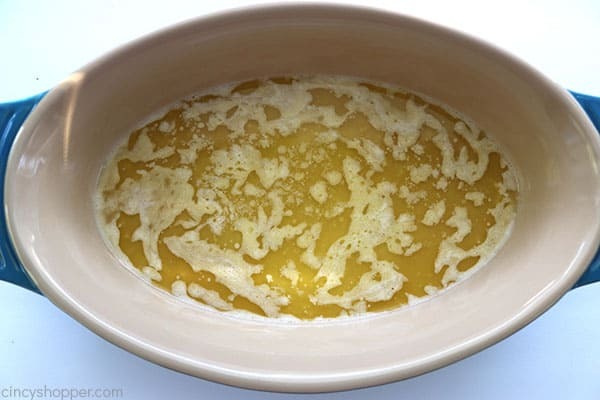 Pour butter into prepared dish. 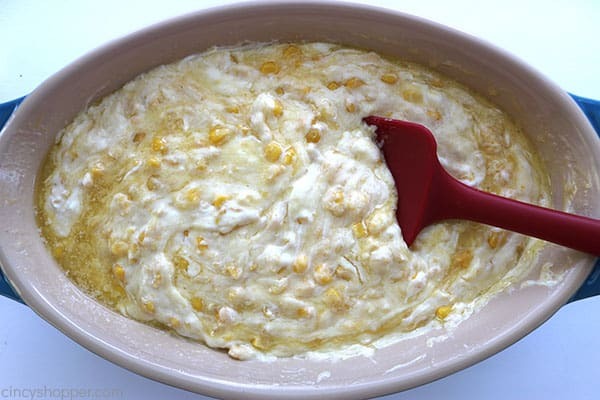 Add corn (whole kernel and cream style) into dish. 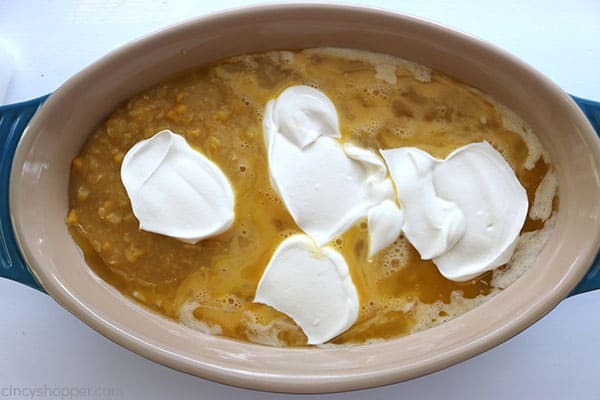 Add eggs and sour cream. 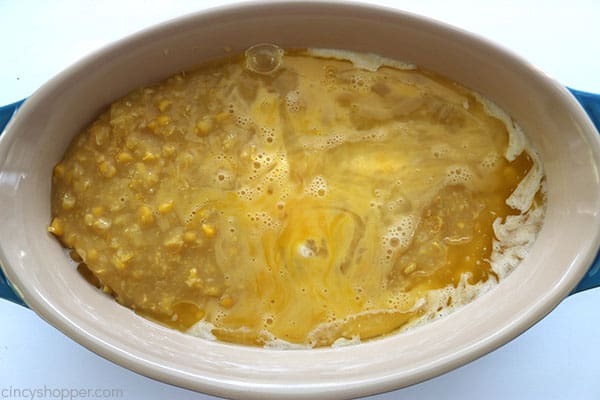 Add 1/2 cheese and stir until mixed. 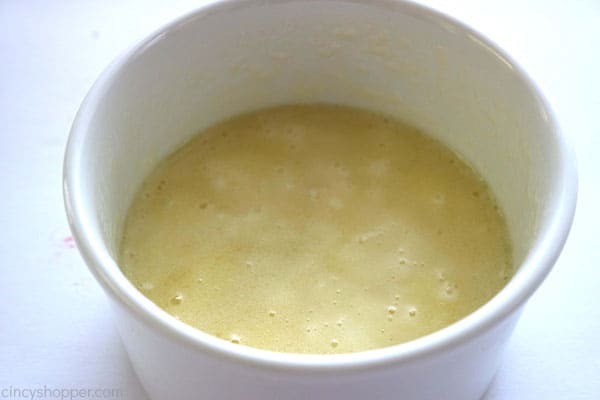 Add muffin mix and stir until blended. Bake 50-60 minutes or until center is no longer jiggly. Do you have traditional favorites that you make each year for the holidays? The picture looks like large but cans but I need the right size. Always looking for a casserole for lunch during the week, so I added bacon bits, chopped rotisserie chicken & chopped green onions….this made it a full meal. Next time, I plan to add chopped jalapenos. This looks wonderful! What size casserole dish do you use? Thanks! This looks delicious & full of cheese. Thanks for sharing at Merry Monday! Yum! We’re going to my BIL’s house for Thanksgiving and I want to bring something for the potluck table and this might be it! Thanks for the recipe. 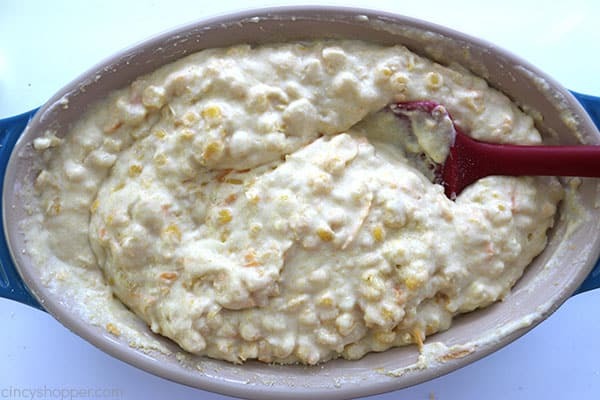 I’m definitely going to try this with a gluten free cornbread mix. What is the best size baking dish to put this in? Hi what size casserole dish do you use? I make this casserole a lot. Only put a small can of mild chills in it. Adds a little bit taste to it. 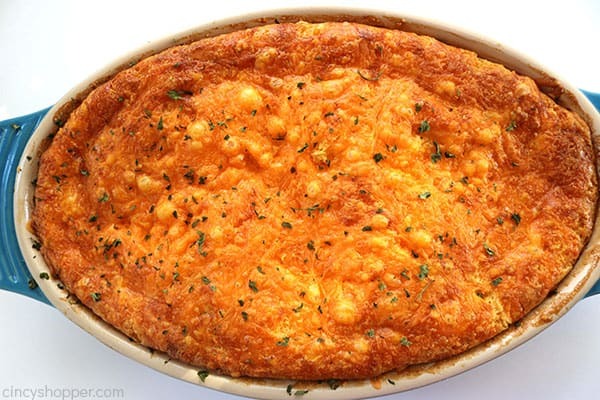 Can this be made the day before and cooked with the other side dishes on thanksgiving day? Looks amazing ! Cant wait to try this. What did you add to the top, is it parsley or an Italian seasoning? This looks delicious! But, I was wondering, can it be frozen? I would like to make this but I live alone. Just reading the instructions and seeing the photos, I can see that I’ll be mixing this up in a large bowl first, then pouring it into my casserole dish. I can’t stand the mess of “stuff” around the upper edges of my presentation vessel (just my own hangup of more than 57 years of cooking). Otherwise, this is going to my minister’s house Saturday for our Sabbath dinner after services. There’ll be 15 people eating it, so I’ll have a very good idea of whether it’s a “keeper” among my brethren. Because I had to use a GF cornbread mix, and they tend to be very dry, I did add the one cup of milk called for by the mix’s instructions. Made all the difference in the world! 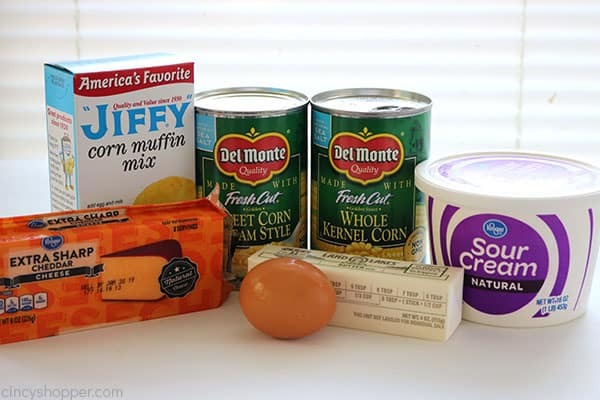 For myself alone, I can use the Jiffy cornbread mix, and it’s my favorite one to use, so I can follow the directions you gave. Will find out in about 24 hours whether we like this, or not–it made a huge 9×13 pan of casserole (you never mentioned a dish size, btw), and it’s going to feed 15 people as an accompaniment to beef stew–so here’s hoping. This is beyond delicious! I highly recommend it. I made the recipe as written and it served 6 generous portions. Everyone asked for more. Next time I will double the recipe. Hi Sharon! So happy that your family enjoyed this recipe. I actually made it a couple of times over the holiday and everyone wanted seconds too. I make this often, too! 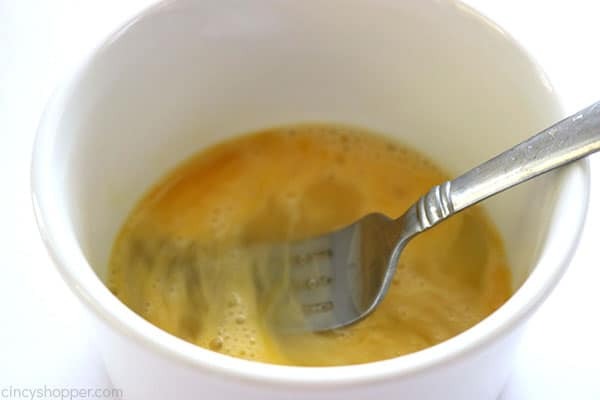 I mix the batter in a bowl before pouring into the baking dish. The cream cheese is easier to get smooth if you warm it a bit, so I melt the butter in a mixing bowl, add the cream cheese and microwave 20 seconds at a time until I can mix it smoothly. 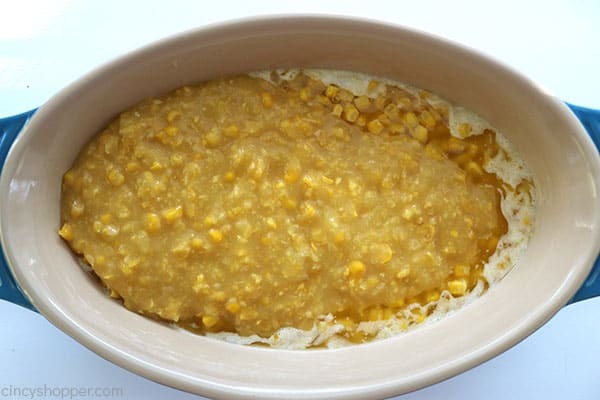 Then add the corn and any other wet ingredients or veggies, mix well, then add the cornbread mix. 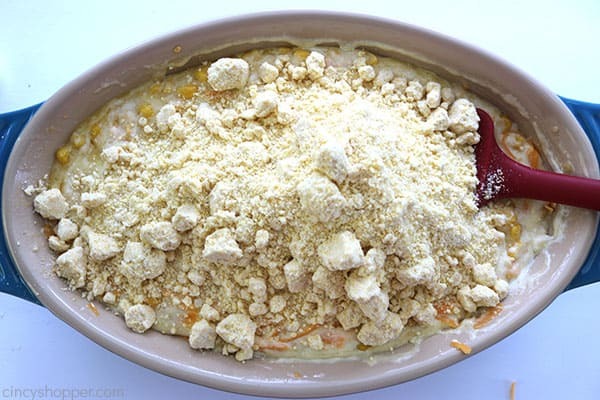 I put half the cheese in the batter and half on top, and I add a lot of other stuff depending on my mood. I always add a bunch of green onions, chopped. I sometimes add 1/2 a red pepper (diced), and a whole fresh jalapeno (remove the seeds and membranes and diced). A can of rinsed black beans is a nice addition, too. I’ve also added bacon in the past, but this is one of the few dishes I’ve made that I don’t think is improved with bacon! If this is made for dinner my daughter and I can skip the rest of the food. We love it. Could you please tell me what size casserole dish to use? Thank you!